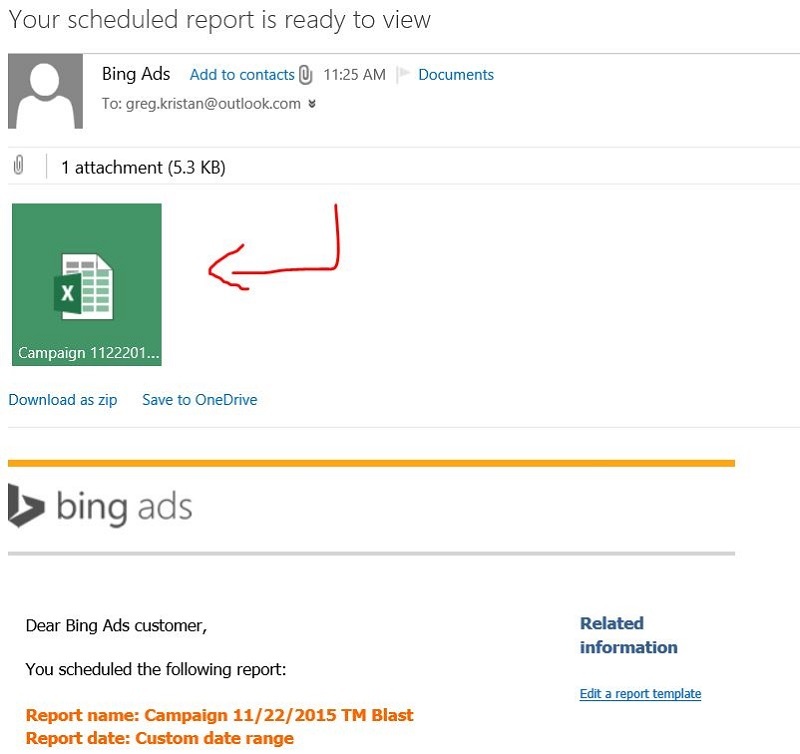 If you manage a lot of Bing Ads accounts, you should take advantage of scheduling reports to save time! This becomes even more important if your Bing Ads excel reports are large and take a good amount of time to create in the reports section. This tutorial will go over how to set up custom reports to be emailed to you on a weekly basis. 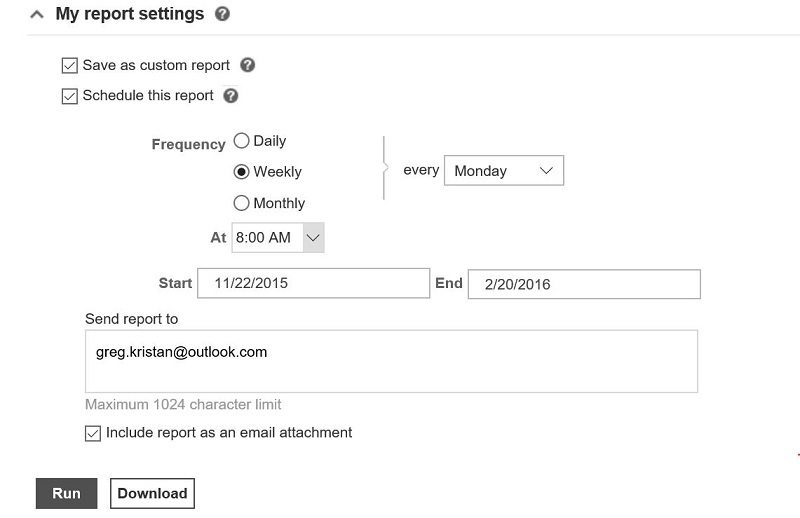 This tutorial will also show how to unsubscribe to scheduled reports. To get started, you will need to head over to the reports tab in Bing Ads. For this example, I am looking to pull a campaign report for this one account that I have. As a note, you can create a scheduled report for all types of reports, so feel free to choose the report that you would most like to see. Let’s say I want to see a campaign report every Monday morning when I get into work. I can scroll all the way to down the page until I find My Report Settings. Here we are going to schedule a report for a weekly basis. You will need to click on the box that says schedule this report to get started. After we have clicked on that box, we are brought to a screen like this. You can get pretty creative on how you want this report. For this tutorial, I made this report for 8 AM, but I am creating this report at 11 AM for this tutorials, so the email will come in at 11. At work, I have my reports set to 8 AM because I want them to be at the top of my inbox once I get into work. As a note, we can add more than one email address here! With the custom report set up, I now will get this report every week on Monday. The red arrow points right to the excel file for me to work through. Let’s say you create the schedule, but then realize you don’t want that report anymore. Maybe you realized that you missed a custom column, so you want to create a different report now and not get the old one every week. Simply head over to the custom reports tab and click the main header. You will see a screen like this. You can then select one (or all) of the reports to delete and unsubscribe to. Scheduled custom reports are easy and time effective. This becomes more true when you pull large files to report on. Especially if you only have a limited amount of time to truly dedicate into Bing Ads, you will save time with these reports and allow yourself more time into making actionable decisions based on the data.